Coffee, definitely. My motto is, "Caffeine is good for you." If I stopped drinking coffee I'd probably fall asleep and nap for a couple of days until I catch up. I can play the bass and I used to play in a couple of rock bands when I lived in Sweden. It's a lot of fun. Playing with a band takes time though, so I haven't sought out any new "playmates" since I moved to Florida. The dogs listen patiently, so I have a little audience. LOL! Right now I'm reading the World of Destiny series by Robert Landry. It's about a few survivors struggling to make a new life after the end of the world as we know it. I love discovering new writers! It's a scene from my novel Undercover. This is a contemporary novel, not science fiction at all, and the hero is a Russian spy. He faces an impossible choice when he is on a mission together with an overzealous colleague who sets about killing their target's family. Our hero isn't able to save them, and it scars him profoundly. I was pretty happy with the scene once I was done with it, but my editor thought it was too gruesome and it didn't make it to the final version of the novel. She was probably right - if I had a hard time writing it people might not appreciate reading it... I've been thinking of putting it as an "extra" on my website, but I haven't gotten around to it. Everywhere. The most mundane situations can trigger my mind to play the "What if" game. "What if a spaceship would land right here, right now. What would all these people do?" "What if the guy over there is really an undercover cop trying to infiltrate a gang?" "Ooooh, an airplane. What if it carries someone with a mysterious package, no wait, a bundle of documents, no... Let's make it secret drawings." "This coffee tastes strange. Hmm, what if it contains something that allows people to control other people's brains." You get the idea; my head is filled with stuff like that all the time. 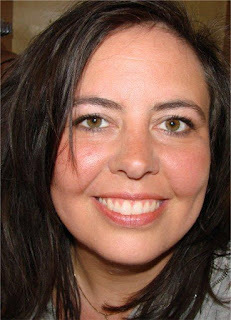 Originally born in Sweden, Maria Hammarblad moved to Florida late 2008, and today she lives in the Tampa Bay area with her husband Mike and their rescue dogs. Most known for writing science fiction romance, she also writes contemporary novels and award winning screenplays. Besides a number of self published books, she currently has two novels published through Desert Breeze Publishing and three more scheduled for 2013. Her biggest interest besides writing is playing bass. So glad you picked six, Maria! 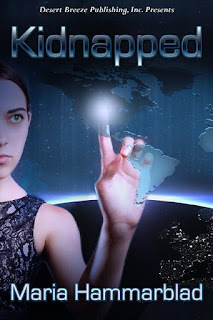 Congratulations on KIDNAPPED--I put it on my TBR list. So, make sure you have enough space accessible to completely accommodate your tools. Great pick 6 Maria! Kidnapped sounds like a great read! This is an extremely neatly written article. I'll be sure to bookmark it and return to learn more of your useful information. Thank you for the post. I will certainly comeback.